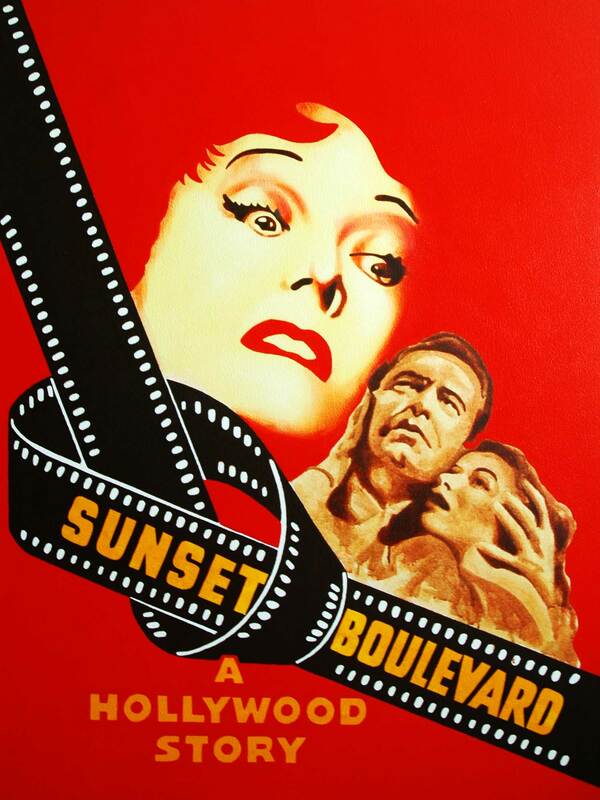 This weeks choice for Hit Me with Your Best Shot movie club is the classic Billy Wilder directed and written film Sunset Boulevard. 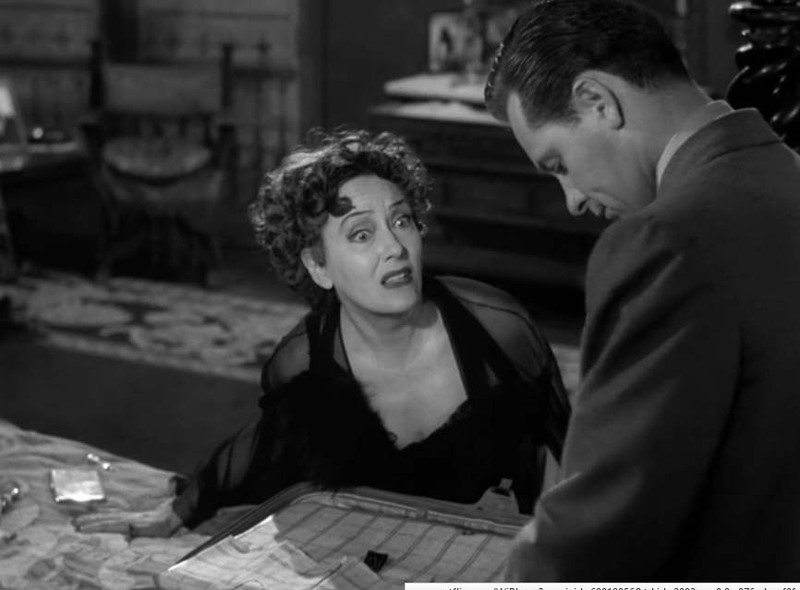 If you haven’t seen it the film stars Gloria Swanson and William Holden in a film noir drama about a struggling writer who gets involved with a delusional star from the silent movies named Norma Desmond. Most movies are about not giving up hope and achieving your dreams (even if it ends tragically). 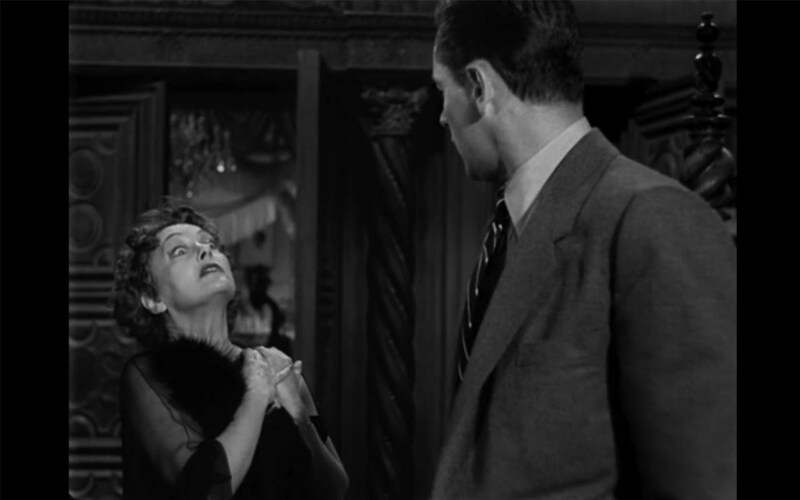 Sunset Boulevard on the other hand is a bit of a cautionary tale of when those dreams become obsessions and keep you from living a full life. 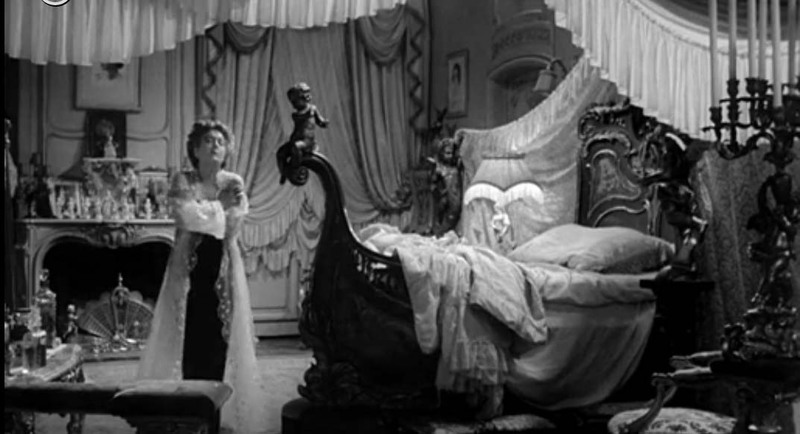 Great Expectations is mentioned in the beginning and in many ways they are similar. Both stories have a male protagonist who dreams of greatness and women who can’t let go of lost dreams. 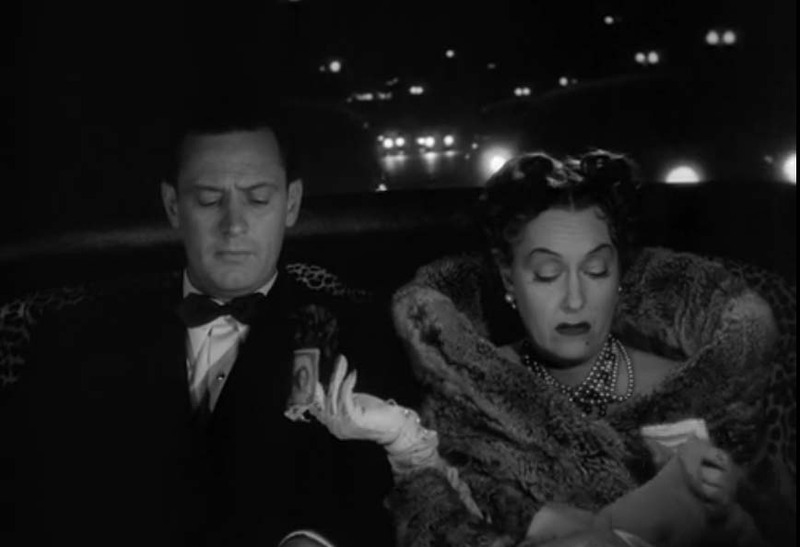 Today watching Sunset Boulevard reminded me of a guy I knew when I was about 25. He believed he was destined to play in the NBA. He actually had a vision from God that it was his calling. Unfortunately he had not been good enough to make the college team at UofU. Nevertheless, he would give these motivational speeches about the power of a dream and all. 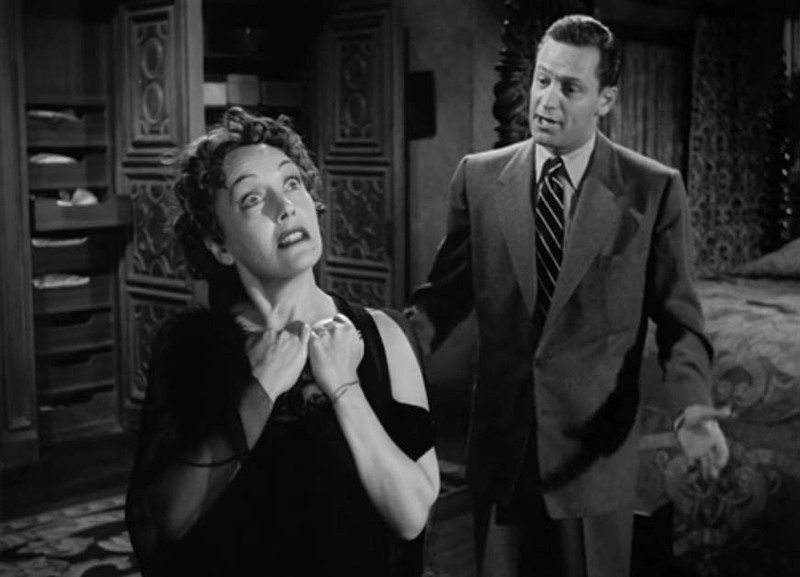 It not actually happening didn’t seem to phase him much like Norma Desmond. On one hand this kind of vain ambition may seem charming but on the other it seems like a lot of wasted energy when new perhaps better dreams could be fulfilled. 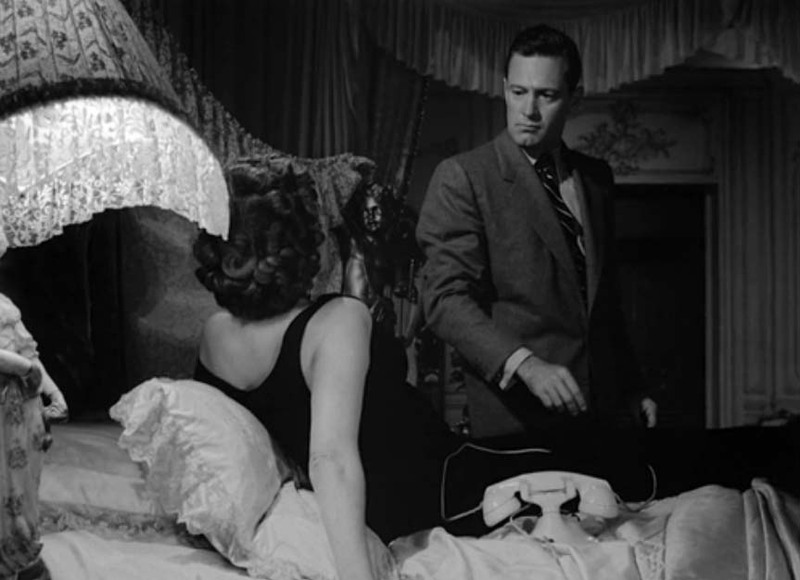 Anyway, in classic noir style the film tells you the grim results of the crime with brooding narration at the onset. This allows us to focus entirely on characters because the plot has already been spelled out. Because it is so character driven a movie like Sunset Boulevard depends entirely upon the strength of the actors for its success. Luckily in this case Holden and especially Swanson are up to the task. It’s a cliche to say but Swanson is mesmerizing in every scene. 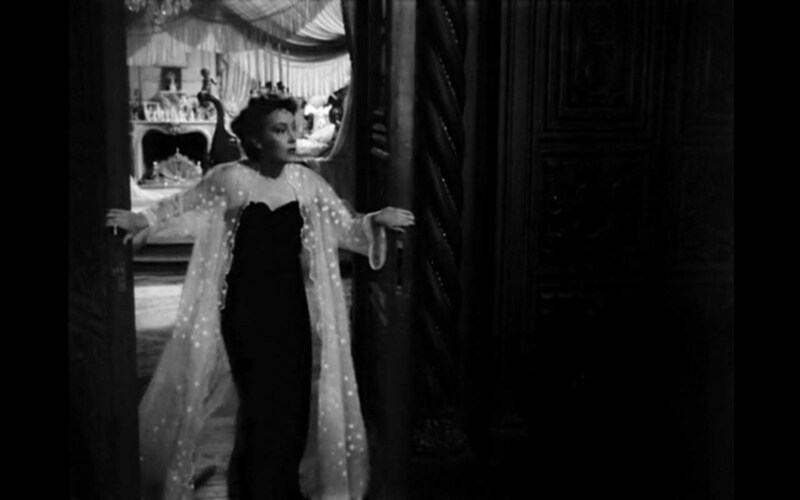 One gets the impression Norma Desmond would be proud of the leading lady portraying her! 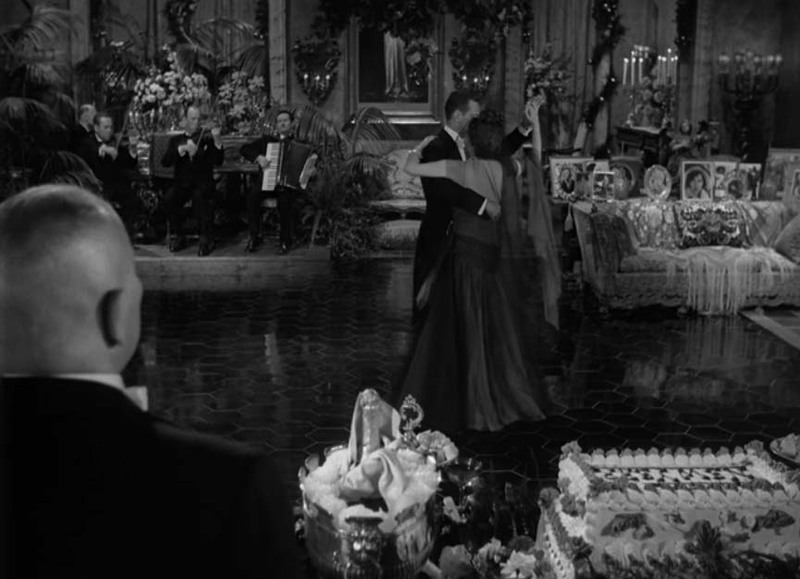 That’s not to take anything away from Wilder or cinematographer John F Seitz because their work is very strong. What they do enhances the great efforts of the actors making it all work together nearly flawlessly. For example, one thing I noticed while looking for a shot is the way Wilder makes Norma feel both large and small depending on the moment. 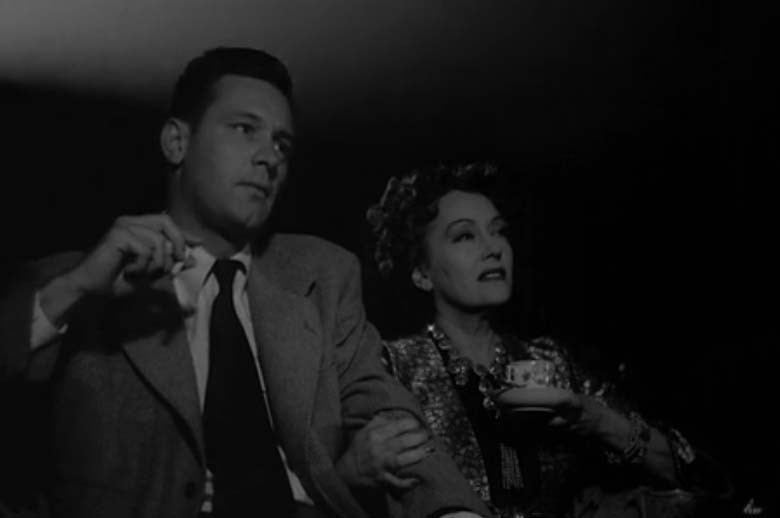 Gloria Swanson it turns out is only 4’11” (William Holden is 5 ’11” which would normally be short but a foot taller than his costar in this case). But when Norma is losing control we see her being looked down on or seeming as tiny as Swanson really was. All the doors in the house are massive and dwarf Norma. All the reporters looking down on her as she makes her grand exit. 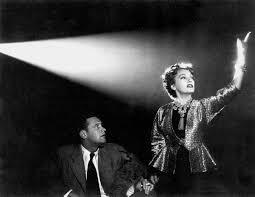 Before I give my shot I will say that Sunset Boulevard is one of the few classics I would love to see a remake on. The reason why is I love the musical version by Andrew Lloyd Webber (definitely his most underrated). 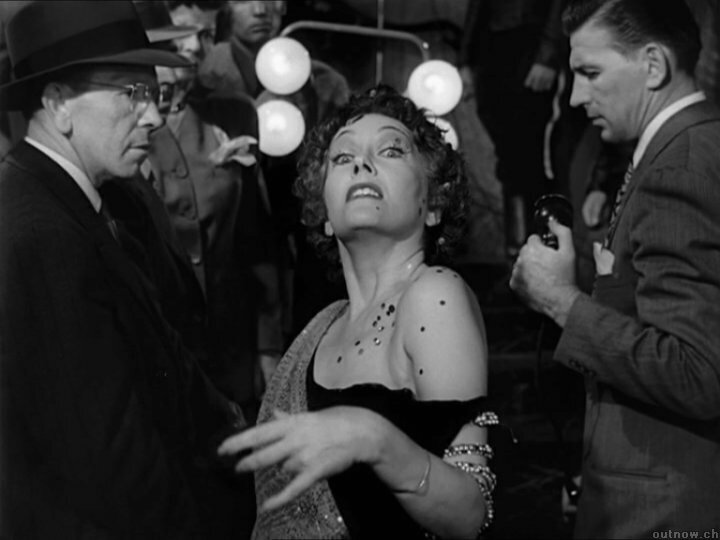 The music is very strong and I can see Meryl Streep eating up the part of Norma Desmond. (Norma’s only 50 after all!). Can’t you just see that being a great movie? In this shot Joe is finally leaving Norma. He spills the beans on all that Max has been doing to prop up her delusions of grandeur but she seems to be oblivious to all he is saying. He is telling her “there is no shame in being 50 except when you are trying to be 25”. Instead of paying heed she is giving a performance almost as if there is a spotlight over her head. Look at the way her hands are at her throat like a Shakespearean actor doing Hamlet. It’s almost as if she expects applause. Then she says “I’m the greatest star of them all”. He leaves and says goodbye and she says “No one ever leaves a star. That’s what makes them a star”. Once having tasted the greatness of being adored and loved Norma mentally cannot handle being small (she even says ‘I’m big. It’s the pictures that got small’). Madness for Norma is a better alternative than being abandoned. “madness is a better alternative” -love it. this movie is so marvelous. And thanks for the reminder of Glenn Close’s turn in the musical. 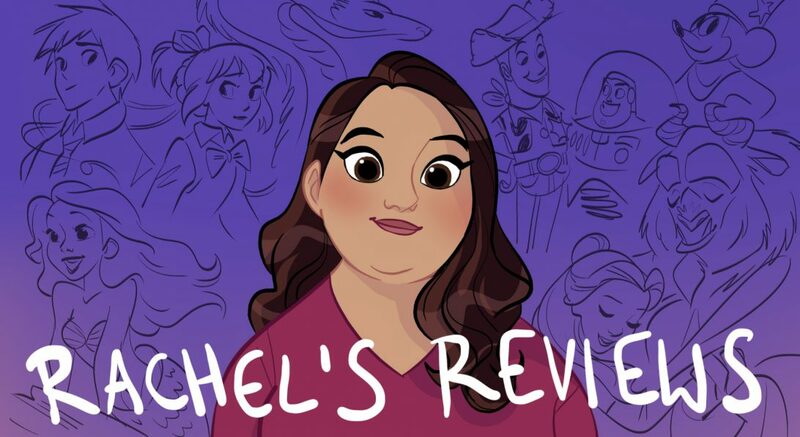 Too bad she couldn’t commit to that film. You now they’d cast like a 40 year old if they didn’t cast Meryl were it to be made now. A fantastic level of insight. Terrific choice and a true observation. The whole film is a runaway train to this moment and it’s heartbreaking as the audience watches her final piece of sanity slip away as everything that matters to her, not really Joe he’s just the stand-in, but the presumed adoration of all the others who have walked away is made real.